We offer professional services for all your commercial and residential needs. We can handle all types of cutting jobs, from old patios and pools to floors and driveways. We accept jobs of any size and complexity. We use a road saw for all our horizontal cutting projects, for a perfect result each and every time. This is the best tool in this industry, perfect for cutting bridge decks, road pavement, floors and many other jobs. The saw we use consists from a diamond blade mounted to a walk-behind machine. This equipment can accurately cut through horizontal pavement. It can also handle pattern paving cutting. We can also help you make expansion cuts or remove damaged sections of slabs. Our road saw service is exactly what you need to have your job done quickly and in the most effective manner. We take pride in being experts in such jobs, and we are always open and honest with our clients. 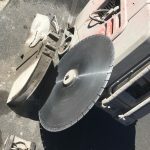 Our road saws can cover a wide range of widths and they can go up to 625mm depth through various materials such as concrete, asphalt, bitumen, suspended slabs and driveways. 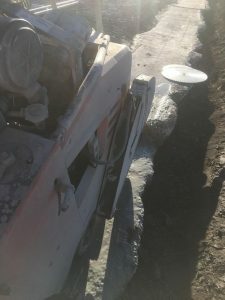 The sawing of roads in one of the most important parts of the construction of various infrastructure elements such as paved walkways, pedestrian roads, bridges and passage roads. All roads you walk or drive on are actually built with the help of road saws. This service can help you make perfect openings in multiple types of concrete structures. We can create windows in any type of wall, provided that our equipment has access to the work site. Our wall saws are mounted on walls or come in hand held versions. The wall saws can cut up , down and sideways. In the case where there is indoor cutting needed or where fumes aren’t allowed due to air restrictions we can bring extra fume less equipment to ensure the surrounding environment is kept clean and safe. Our hand saws use sharp diamond blades, to cut all types of jobs where we can access larger machinery. Hands saws can cut all types of concrete and brick, for expansion, demolition or cutting openings.